A mortise lock requires a pocket (the mortise) to be cut into the door or piece of furniture in which the lock is to be fitted. 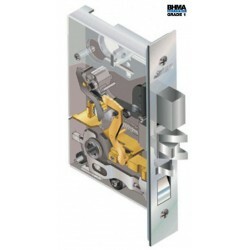 It includes the lock body installed inside the mortise cut-out in the door, and the lock trim and cylinder which are installed out the outside of the door. Mortise Locks There is 1 product.